The best view of the Singapore Bay is not from the famous Marina Bay Hotel as some would guess, but from the skyscrapers surrounding the bay itself. 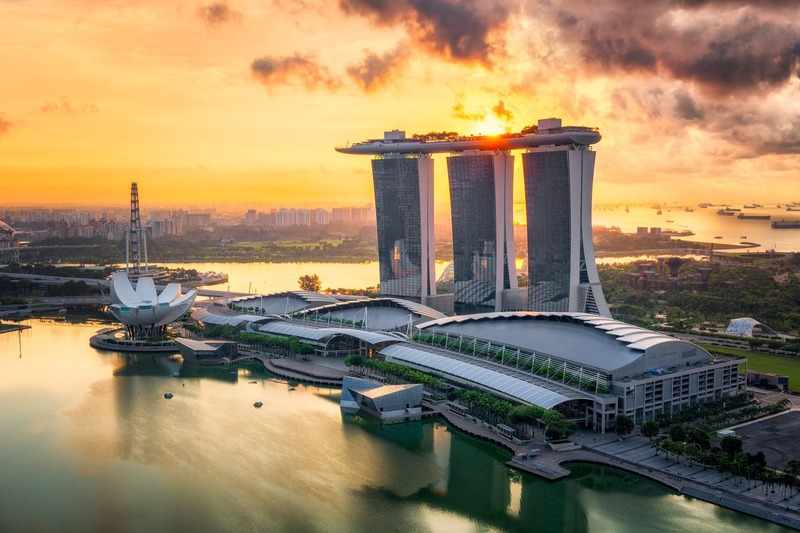 To have the perfect portrayal of this area, you will need to examine the Marina Bay Hotel and its unique architecture from the right perspective. The skyscraper where we stayed displayed a beautiful landscape on the last floor, which was a perfect spot to capture the bay. There is one peculiarity about this region of the world – the blue and golden hours are very short there. In other words, both sunset and sunrise are gone in 30 minutes. 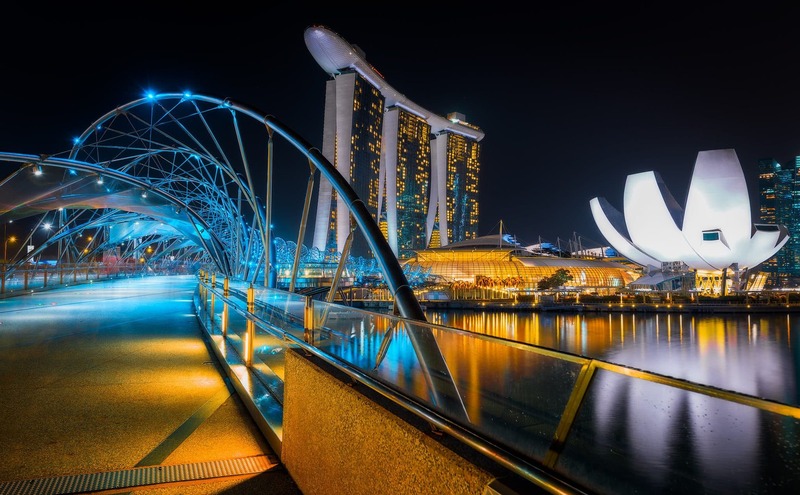 So, I had very short time in which to capture the perfect panoramic view of Singapore Marina. Regarding this particular image, I think I was very lucky taking it – after only one shot the golden light that you see was already gone. 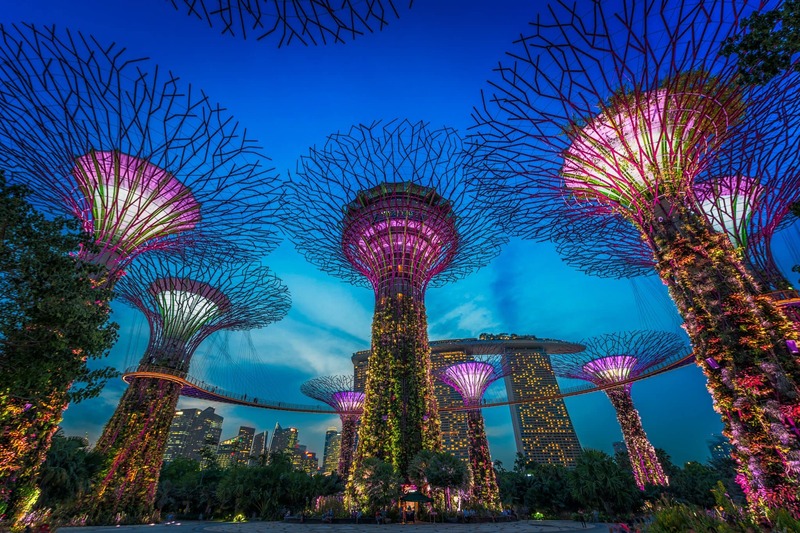 During our trip to Singapore we discovered this gem right at the iconic Marina Bay coastline. 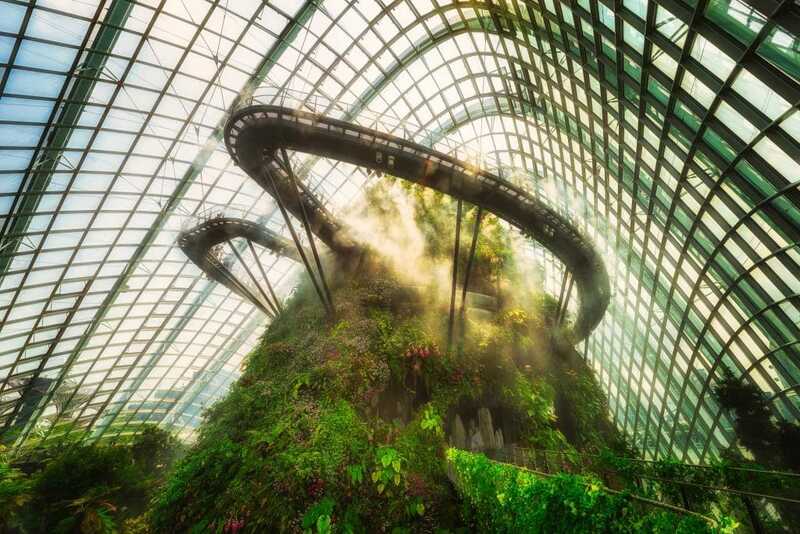 In the middle of a nature park built on reclaimed land, underneath breathtaking structures made from steel and glass two artificial biotopes have been created. The image shows the 42 meters high artificial mountain as well as the observation path, which offers a breathtaking view of this spectacle of nature.